Maybach - the German automobile company, known primarily production of exclusive and expensive high-end cars. Initially the company was engaged in aircraft engines for airships. After the First World War began production Maybach brand vehicles. During the Second World War, Maybach produced the engines for the Wehrmacht tanks. In 1960 the company was purchased by Daimler, and in 2002 car production was resumed. In November 2011, the chairman of the board of directors of Daimler Dieter Zetsche said that in 2013, Maybach will cease to exist due to the reduction in sales. In mid August 2012, the brand has been eliminated. In 1997, Mercedes-Benz presented at the Tokyo Motor Show concept car called the Maybach with a 6-liter engine, which caused the positive reaction of the audience. The Board of Directors of Daimler-Benz AG decided to revive the Maybach brand, while Juergen Schrempp Director noted that this initiative demonstrates the company's desire to "offer the best of the best" in all segments. The reason such a decision is sometimes stated desire to compete in the luxury segment with the Rolls-Royce brand, bought rival BMW in 1998.
executive cars under the Maybach brand production was resumed in 2002. Assembling Maybach-Manufaktur company cars at the factory in Sindelfingen (Stuttgart). The first model of the revived enterprise became the Maybach 57. twelve-car engine volume of 5.5 liter turbocharged had a capacity of 550 liters. from. and accelerates the car to 250 km / h. The new car was considered a successor Maybach Zeppelin. At the same time made a longer version: Maybach 62 "reclining" rear seats, with more than 1 million setting parameters. List Price of the two models was respectively 292,700 and 340,020 dollars. Cars going by hand, taking into account the customer's specifications. Assembling a Maybach took an average of 60 days. 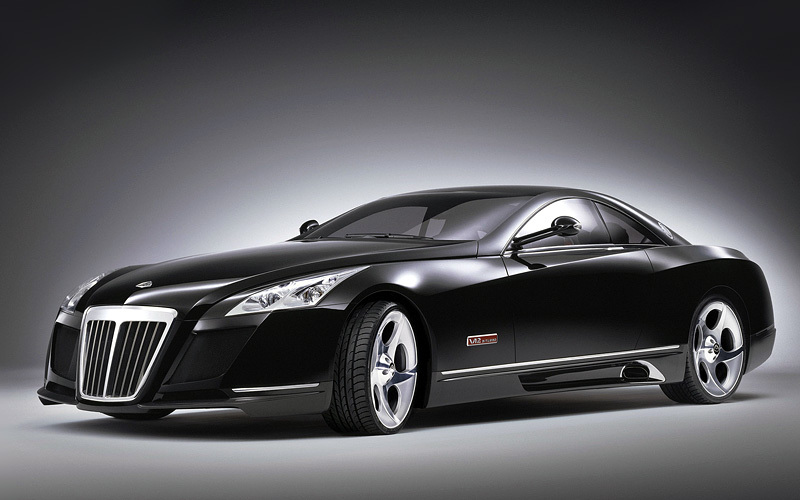 In May 2005 he made his debut in Berlin sports car Maybach Exelero. The car was designed for the company Fulda Reifen for the purpose of testing new tires. Tire manufacturer ordered a new vehicle for the purpose of PR products. In order to update the design staff Maybach attracted to the development of polytechnic college students. With body Exelero coupe weighed 2.66 tonnes and has more than six meters long. 700-hp engine accelerates the car to 350 km / h. Exelero was released in a single copy, and sold for $ 8 million. In 2006, at the Geneva Motor Show was presented the updated version of the Maybach 57 with the letter S (Spezial) in the title, is equipped with a 6-liter engine from Mercedes-AMG. From the usual 57 car has a higher performance and a number of upgrades, including air dampers. And next year at the Beijing motor show car Maybach 62S appeared with the same turbocharged unit, which was on the 57S. The model has been criticized for its resemblance to the S-class Mercedes. Based on 62S car Maybach Landaulet design was created in 2007 with the opening of the rear seats soft top (the distinguishing feature of the body landau). Landaulet with the engine from the 57S worth 1.35 million dollars. 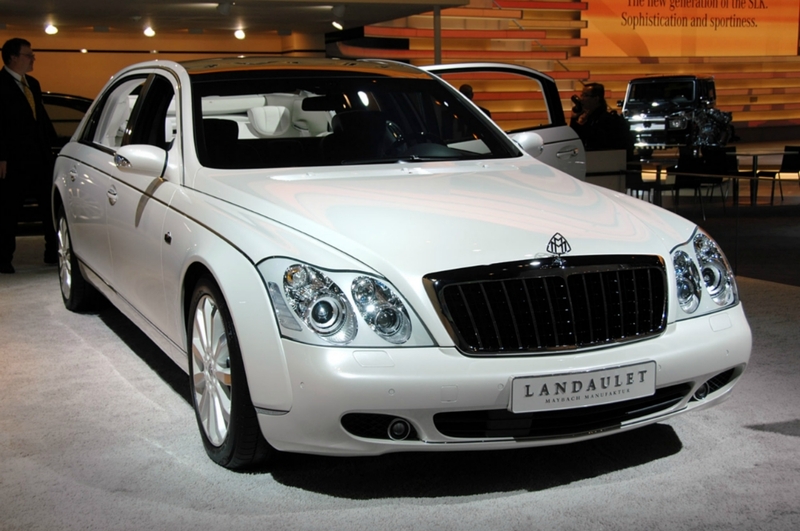 Maybach 62S - $ 432,250. Another modification of both models has been presented to the public at the Geneva Motor Show 2009. The name of the Zeppelin added word, designed to recall the Maybach Zeppelin 1930, and the engine power increased to 640 liters. from. Much attention was paid to the improvement of the interior. 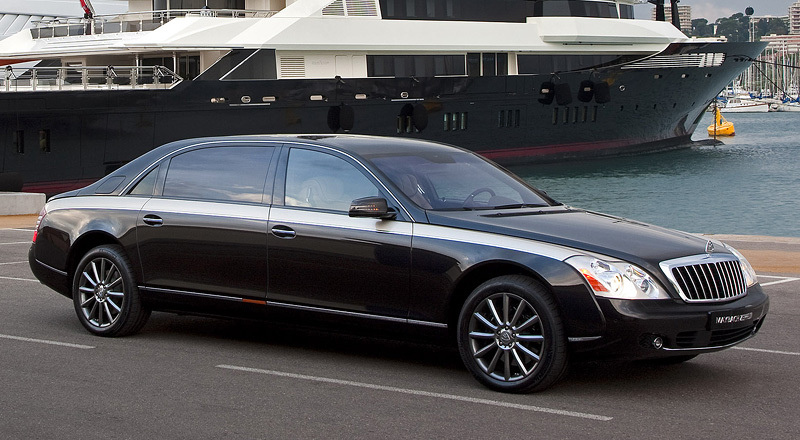 In 2011, there was an armored sedan Maybach Guard, assembled on the platform and the Maybach 62. The armor protection integrated into the car still in the assembly and increased weight compared to just 62 406 kg. Armored Maybach accelerated to 100 km / h in 5.7 seconds and a top speed of 250 km / h. When ordering the machine buyers can choose any elements of decoration and equipment Maybach 62, as the Guard was assembled on its base. In November 2011, Daimler management made a decision to wind up the release Maybach cars, as the brand was unable to compete with Bentley Motors and Rolls-Royce. We considered two options: either to close the company, or to continue production in partnership with Aston Martin. The British automaker even developed the concept of the second-generation Maybach. However, cooperation has not taken place and the company was closed. 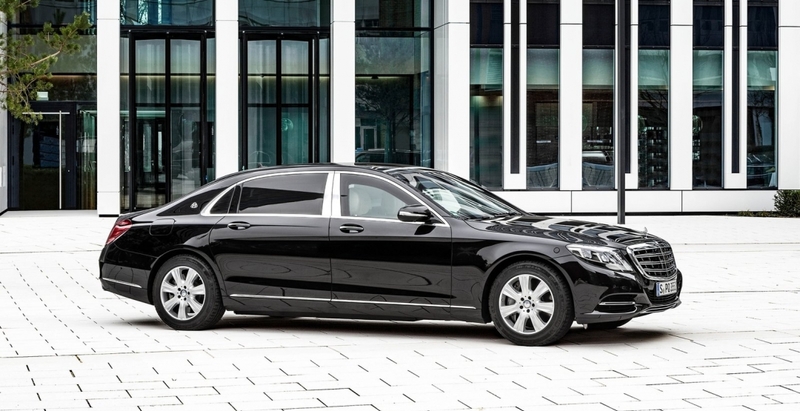 As the head of the group, Dieter Zetsche, the company came to the decision that in the luxury segment Mercedes-Benz S-Class will have more success. The project never came to the breakeven level: each car Maybach group lost about 300 thousand euros. In April 2012 the company announced the sale of cars at a discount of $ 100 000 to get rid of inventory. At noon on August 14 Daimler issued a price list for 2013, which stood in front of all the models of the mark - "Discontinued". Maybach car production under the new name Mercedes-Maybach was resumed in 2015.